Saturday was very cultural for me. Why you ask? Because I have spent my Saturday night at the theatre. And yes, it is a very hip and cool thing to do. 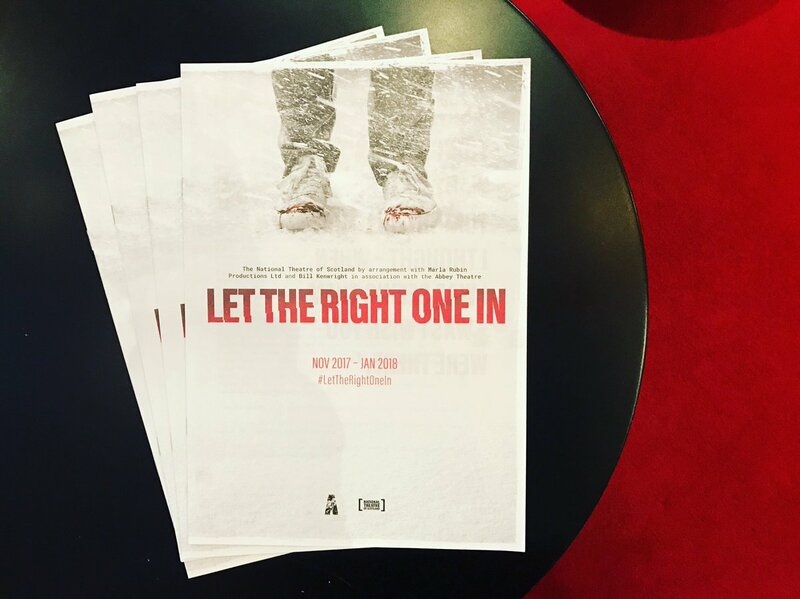 The Abbey Theatre was performing Let the Right One In, which is based on a movie based on a novel by John Ajvide Lindqvist. The story line is about a lonely, bullied teenager, named Oscar who lives with his mother on the edge of town. While his father is absent for the most part, it becomes quickly clear that both his parents are battling their own demons, mostly in the form of alcohol and depression. While Oscar’s life is shrouded in darkness, a glimmer of light shines through when a new neighbour girl, Eli, moves in next door. However, he quickly learns that she and her family may not be what they seem as a series of murders being to occur within the neighbourhood. Despite the risk, Oscar forms a deep emotional connection with Eli that will test his will and bravery beyond all imaginable limits. 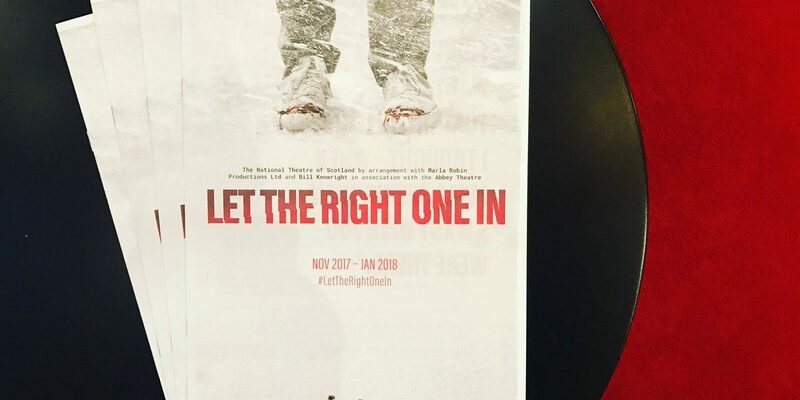 Following runs in London and New York, Let the Right One In comes to the Abbey with a new Irish cast as the centrepiece of our winter season. The Guardian described it as beautiful and heartbreakingly sad and I agree…definitely worth watching!